Save 30% for a limited time only - use promo code BGS1000 at checkout! My name is Madison Bowey, professional hockey player for the Detroit Red Wings. 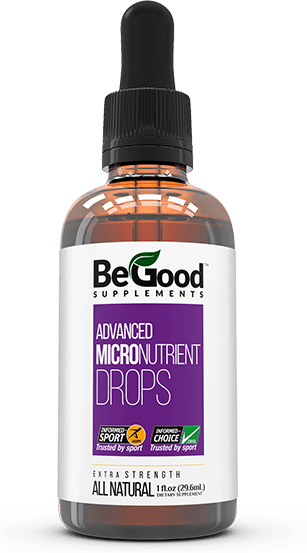 I've added BGS Advanced Micro Nutrients Drops to my daily program and my thoughts on this liquid mineral supplement have been very positive. My focus, energy, stamina has increased exponentially and my recovery time after games has reduced significantly. 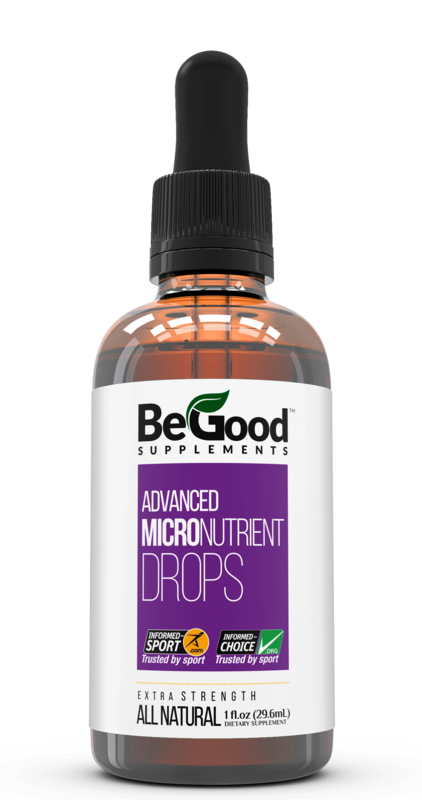 BGS Advanced Micro Nutrient Drops is an excellent product and I will continue to consume daily. Thank you. the most Advanced Micronutrient Drops. Period. Professional athletes put their trust in BeGood’s Advanced Micronutrient Drops (AMD) and are already experiencing the benefits of a powerfully mineralized body. Maximize the health of every cell so each one is an efficient, well-fuelled machine bursting with life, strength, and long-lasting energy! ONLY natural goodness is packed inside. We use only the highest quality minerals and micronutrients from one of the RICHEST DEPOSITS on earth – our own. Both freshwater and oceanic sediments laid down over millions of years have combined with minerals from gigantic prehistoric plants and microbial activity to produce highly nutritive fulvic acids purer and more complex than any other brand can offer. Doctors unfamiliar with BeGood Advanced Micronutrient Drops (AMD) are astonished by the health improvements they see in our customers! 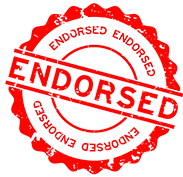 Those who know us – including MANY SPORTS TEAM PHYSICIANS – endorse us unconditionally. Our drops are 100% safe – and will not interact with other medications. Please see just one of our endorsement letters above. We are licensed by Health Canada and certified by both Informed-Choice and Informed-Sport to be TESTED FOR BANNED SUBSTANCES. 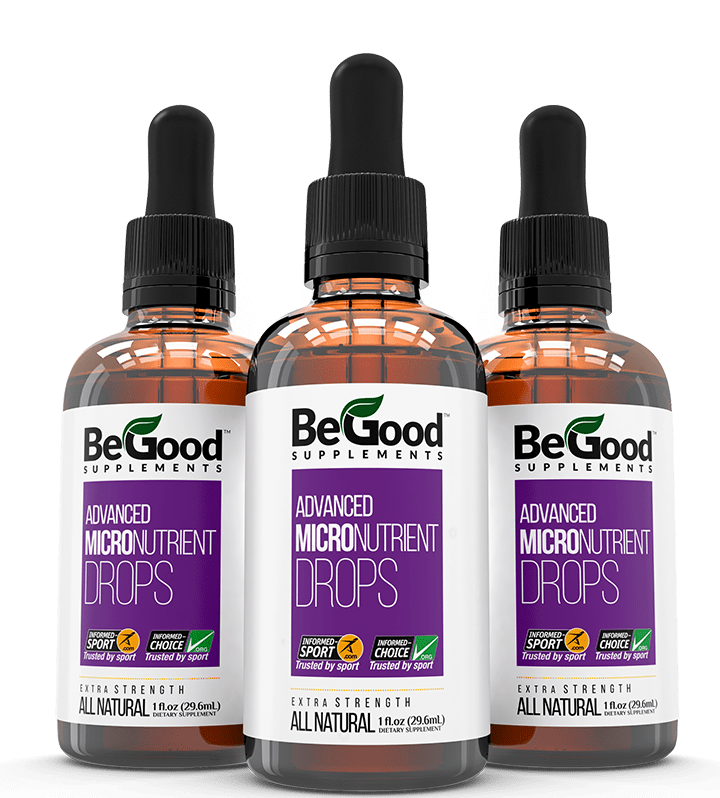 Meaning each and every batch of BeGood Advanced Micronutrient Drops goes through rigorous testing to ensure quality and consistency. We are BeGood Supplements, based in Vancouver, British Columbia, Canada – leaders in Natural Sports Nutrition. We do EVERY step of producing our unique professional-grade organic herbal and mineral nutritional supplements, from growing and harvesting the ingredients on our own land to manufacture and distribution. Our focus is on careful extraction = superior concentration. We use highly purified water and industry-best methods to extract the maximum potency of each of the 33 organic acids and 70+ minerals in our drops. We NEVER use high-temperature methods as they degrade the mineral content. Double-stage reverse osmosis water is the only substance that comes in contact with our deposit material. Only BeGood’s Advanced Micronutrient Drops (AMD) contain hundreds of POTENT MICRONUTRIENTS not normally available in a single supplement. Boost your adrenal efficiency for longer and stronger bursts of muscle power. Get more oxygen to your cells for superior strength, speed, recovery, power, and endurance. Optimize your body for peak performance! BeGood’s Advanced Micronutrient Drops (AMD) let you train longer and harder – and then SNAP BACK to peak performance the day of an event. Lose the muscle soreness with better drainage of lactic acid. Keep your cells hydrated with the electrolytes you need both before and after workouts. Optimize your body for ultimate training! BeGood’s Advanced Micronutrient Drops (AMD) carry key molecules throughout your body, SPEEDING NUTRIENTS where they most need to go. You will notice more rapid growth of your hair and nails within days of beginning to use these drops! Get serious bone density for power and strength. Balance your glandular system for peak sleep and focus. Get the most out of food and supplements with a thriving gut microbiome. Optimize your body for restorative health! Send us a note in the box to the right, and we’ll be happy to answer any questions you might have about BeGood Advanced Micronutrient Drops. Note: All fields with a red dot are required. More About BeGood: We are BeGood Supplements, based in Vancouver, British Columbia, Canada – leaders in Natural Sports Nutrition. We do every step of producing our unique professional-grade organic herbal and mineral nutritional supplements, from growing and harvesting the ingredients on our own land to formulating our Advanced MicroNutrient Drops solely of minerals and micronutrients from our own rich deposit to manufacture and distribution. Our focus is on careful extraction to produce superior concentration.